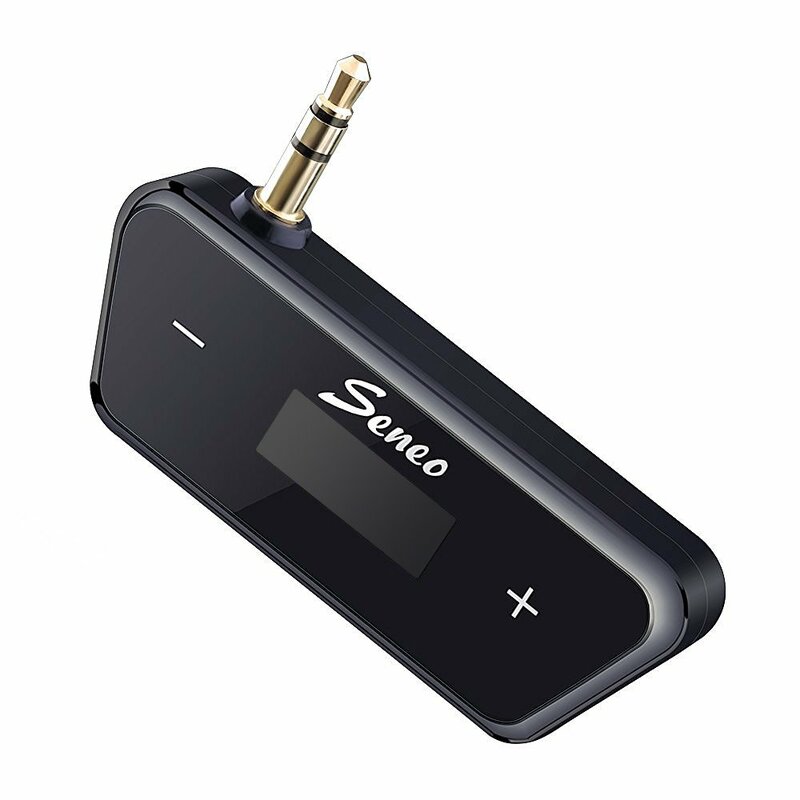 WIRELESS AUDIO STREAMING : Streaming music from any music player with 3.5mm headphone jack over your car stereo system to let you enjoy high quality audio experience. HANDS-FREE CALLING : Supports hands-free phone conversation through the car stereo for safe driving. BUILT-IN RECHARGEABLE BATTERY : No need for additional power, simply plug it into the headphone jack and play. COMPACT AND PORTABLE : Designed with a slim, tiny structure, it is an Ideal portable accessory for use in cars, at home or outside. WIDE COMPATIBILITY : Compatible with iPhone, iPad, iPod, HTC, MP3, MP4 player and most devices with 3.5mm audio jack.